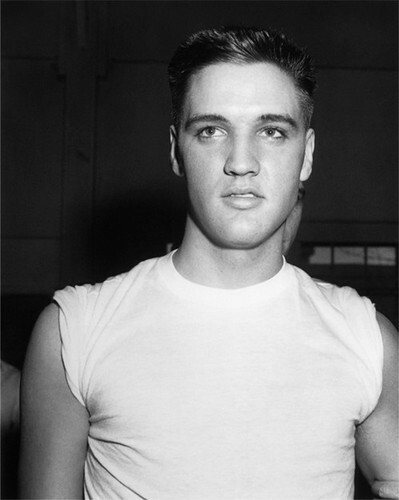 Elvis Presley with his U.S Army haircut. . Wallpaper and background images in the 엘비스 프레슬리 club. This 엘비스 프레슬리 photo might contain 유니폼, 티셔츠, 티 셔츠, jersey, t shirt, tee shirt, 저지, and t 셔츠.